Building sand castles is quite possibly the best activity for a Gulf Shores family vacation. There is absolutely nothing better than getting down and sandy and building your very own beach castle while on vacation. Out little pal from last night's sunset session what rather happy to do just that. This little guy was quite the builder. He said has was building himself a sand condo, and it was gonna have a lazy river. We just chuckled, this little guy was a hoot. He was having a great time on his spring break, even though the weather was a little bit on the chilly side. Do you take time to build sand castles when you go on vacation? Do you like to get down and sandy alongside the kids? I know I do, my castles haven't really gotten better over the years. Unlike our little guy from last night's session, I don't make sand condos, I make more like sand huts. I have always dreamt of building a masterpiece like you see during those competitions, but it always just ends up a sand hut. Sometimes with a molt, sometimes without. What would you classify your sand castle as? When was the last time you built a sand castle? Has it been too long? If you are planning a spring break beach trip this year, please give us a call and let us show you how much fun building sand castles can be. 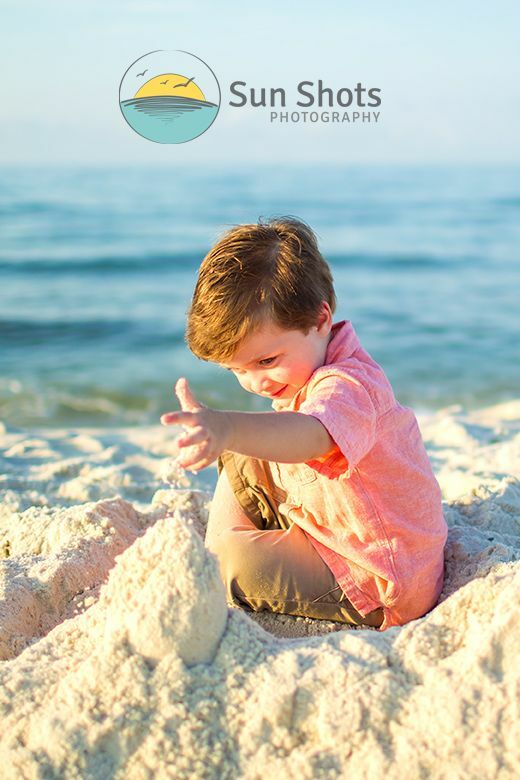 From sand castles to perfect professional photography, we want to be apart of your Gulf Shores family vacation. We have years of professional beach photography experience and we would love to share our art with your family. Give us a call today and let us start the planning process for your very own family beach photography session.